Betsson – The Festive Daily Pick | Week 3! Take your daily pick from the Holiday Claw Machine! 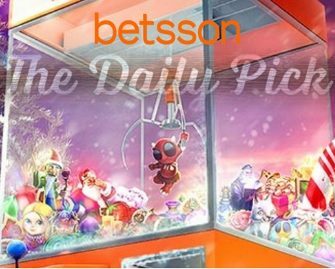 Final week before Christmas, no better time to claim special offers and rewards from the Festive Daily Picks at Betsson. Eligible players can look forward to even more bang for their buck with added Free Spins, higher Bonuses and bigger Wager Rewards throughout the coming week. The Christmas Campaign will culminate in two players winning an exclusive holiday to Portugal and Japan on Christmas and New Years Eve. Start today with a 100% cashback bonus when playing Merlin’s Magic Respins. Monday, 18th December 2017: Merlin’s Cashback – Get a 100% cashback bonus on net losses when playing Merlin’s Magic Respins, up to €50, credited by 10:00 CET on Tuesday with a 5x WR. Tuesday, 19th December 2017: Nature Tournament – Score the highest sum of single coin wins in all four season modes on Seasons to place in the TOP150 for bonus prizes from €10 – €250 or 10 Free Spins, credited by 18:00 CET on Wednesday. In-game leader board is available. Wagering requirements are 25x bonus or 25x FS winnings within one day. Wednesday, 20th December 2017: Jingling Surprise – Wager minimum €50 on Jingle Bells, then check your Betsson inbox for a surprise reward. Thursday, 21st December 2017: Fairytale Free Spins – Deposit €25 to instantly receive 75 Free Spins on Crystal Queen. Wagering requirements are 25x FS winnings within one day. 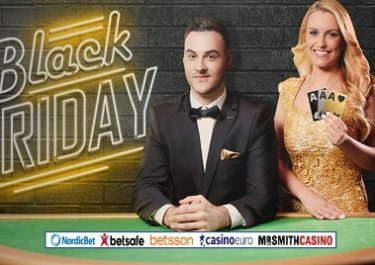 Friday, 22nd December 2017: Merlin’s Cashback – Get a 100% cashback bonus on net losses when playing Merlin’s Magic Xmas, up to €50, credited by 10:00 CET on Saturday with a 5x WR. Saturday, 23rd December 2017: Flowery Free Spins – Wager €25 on slots to instantly receive 75 Free Spins on Flowers Christmas Edition. Wagering requirements are 25x FS winnings within one day. Sunday, 24th December 2017: Christmas City Break – Login today to find 5 Free Spins on Merry Xmas, no deposit needed. Wagering requirements are 25x FS winnings within one day. Lisbon City Break – Earn one ticket to the prize draw for every €10 wagered on Merry Xmas. Winner will be announced within 72 hours.